Founded in 1971 and headquartered in Brazil, Embraco is a part of Whirlpool corporation that specializes in cooling solutions and is a world leader in the hermetic compressor market. Embraco has also established factories in Italy, China, Mexico, and Slovakia. In addition to these production units, Embraco has commercial offices in the United States and Russia. Embraco also produces electronic components (used in optimization of appliances), cast iron, and complete cooling systems – for home and commercial use. The corporation aims to provide innovative solutions for a better quality of life through technological excellence and sustainability. Whirlpool has approximately 97,000 employees, with 10,000 working at Embraco. With the workforce dispersed all across the globe, instant and hassle-free connectivity was a critical business challenge. This challenge was compounded by the complex and distributed organisational structure. This left employees frustrated while they tried to find and connect with co-workers to collaborate and make real-time business decisions. The legacy system was an internally developed employee phone directory, that worked on obsolete technologies, had an outdated UI, and delivered a compromised experience to the users. Connectivity: The legacy system was more of a employee information database. It lacked connectivity and did not empower every employee to find and connect with their co-workers. Accessibility: The system was not mobile and could only be accessed within the internal office network. Ease of use: The legacy system was visually out-of-date and did not encourage user adoption. Since there was no smart search criteria, employees were unable to find their co-workers by department, skills, interests, office location and more. Data Maintenance and expenses: Embraco faced significant IT costs for maintaining and updating employee profiles. Also, there was an expense and hassle of managing data in multiple locations. Embraco wanted a cost-effective solution that provided smart and filtered search criteria, and that was smartly designed to deliver a simplified user experience on web and mobile. On the recommendation of another corporate division of Whirlpool corporation for providing digital consulting and implementation services, Embraco chose MediaAgility to deliver, maintain, and support a comprehensive employee information and engagement solution called WhitePages. The solution fuelled collaboration by giving their employees power to instantly connect at a moment’s notice. 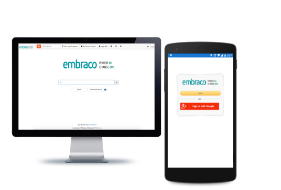 WhitePages for Embraco powered by Google Cloud Platform enables approximately 10,000 Embraco employees to search for their co-workers using a variety of search features and view their profile information such as contact details, skills, area of expertise, job details etc. 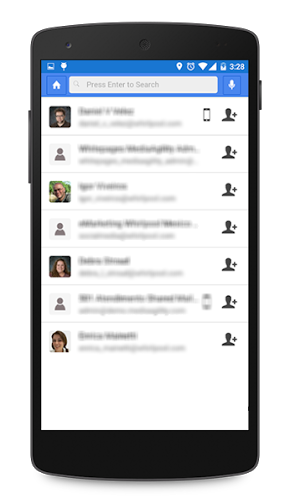 The application enable end users to create, maintain and share personal contact groups using easy to use filters. The application also facilitate group admins to create and maintain rule based Google Groups that are kept up-to-date by backend processes. Users can access WhitePages using their mobile phone, locate colleagues, knowledge areas, skills, expertise, and specialities. and connect with co-workers throughout the company via call, email, and message, irrespective of different locations. High availability and accessibility: With Google’s single sign-on feature, users can quickly access the data anytime through web and mobile. WhitePages is a globally available application for Embraco employees. Easy to use: The solution delivers a rich user experience to users by giving them the power to maintain their own data, view co-workers’ contact information, create contact groups, and connect with them on-the-go. Intuitive interface: User interface of the solution is visually modern and in line with Embraco’s branding. Cost-effective: As a cloud solution, it runs on the Google’s PAAS system. The solution is integrated with cloud database and uses cloud storage for files storage and management. WhitePages is a cloud-based application, hence needs minimum or no IT maintenance. Multiple login mechanism: The solution has defined multiple login mechanisms, such as Google SSO and through whitelisted IP addresses. With Google powered solution, Embraco is fostering collaboration and agile connectivity across all levels of the company. WhitePages is a one-stop solution where employees can find coworkers they need to do their jobs. Transformative innovation requires data that drives decisions — and a proven partner to capture key insights, define solution pathways and leverage advanced capabilities to solve demanding challenges. Innovators rely on MediaAgility and Google Cloud to move them rapidly from idea to impact. Together, you’ll create intelligence solutions that lead the way towards innovation.